Jimmy McLarnin consistently fought the best fighters in the world for 13 years. 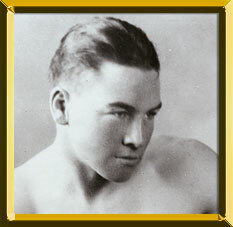 Among the great opponents he faced are world champions from seven different weight classes, spanning a total of 48 pounds. In 77 career bouts, he met 15 world champions and five fellow Hall of Famers. On five occasions, McLarnin beat a reigning world champion in a non-title bout. A gifted boxer and dangerous puncher, McLarnin turned pro in 1923 and the following year he decisioned and drew with future flyweight champion Fidel LaBarba in a pair of four-round bouts. His competition got better from there. In 1925, he beat three world-class fighters in a six-month span -- flyweight champion Pancho Villa in July, future welterweight titlist Jackie Fields in November and future bantamweight champion Bud Taylor in December. McLarnin challenged lightweight champ Sammy Mandell in 1928 but dropped a 15-round decision. After beating the great Benny Leonard, McLarnin earn a title fight against welterweight king Young Corbett III in 1993. McLarnin knocked Corbett out in the first round. But his reign as champion was brief. Barney Ross, who had held the lightweight and junior welterweight titles, took the title from McLarnin in May of 1934. He lost the crown back to McLarnin three months later but managed to reclaim the throne with a points win in May of 1935. McLarnin fought three more times after losing the title. In 1936, he split a pair of 10-round decision with legend Tony Canzoneri and scored a non-title fight decision over lightweight champion Lou Ambers in his final fight.